Why Agni Is So Vital For Health And Wellbeing? Ayurveda has always highlighted long term benefits out of not only curing diseases but also maintaining the health and wellness of an individual. Improper digestion is every third person’s problem. Due to stressful lifestyle and unhealthy food intake as well as wrong eating habits it is very common health issue. If not treated appropriately, it can eventually become the root cause of some other big health issues like arthritis, hyper acidity etc. Ayurveda, our ancient medicine knowledge base, has solution to all the health related glitches. According to the science of Ayurveda, there are four main agents which participate in the process of digestion in our body. Agni (Fire): With the prime application of Pachak pitta it digests the food we eat. Vayu (Air): Vayu the air moves the food and also at the same time fans the Agni. Kleda (Moisture and Viscosity): It moistures the food and softens it. These are the belongings of Kledaka Kapha. Kaala (Time): Time is essential for the completing for the process of digestion. Why Agni is Important for Health? 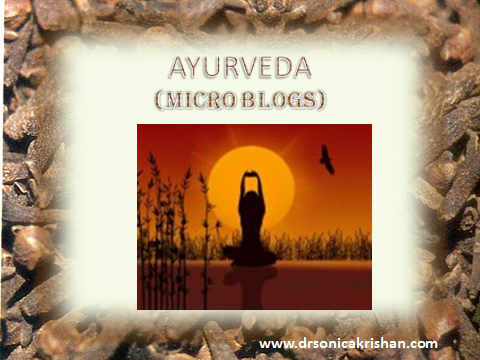 We must understand that digestion and metabolism are two main processes for which Agni is responsible. When Agni is not functioning properly, food will not be digested. This defective agni produces ama, or the undigested food. Ama causes fermentation and decays in the stomach and consequently results in formation of wide variety of diseases and disorders in the human body. Also, according to Ayurveda, agni or the gastric fire is the expression of the fire body humour, or the Pitta dosha. Decomposes and transforms the food. It is responsible for the process of oxygenation. Pachaka pitta (Agni) digests the food in stomach and in intestines.